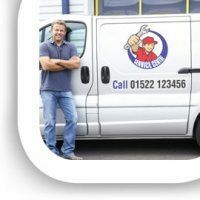 Driving a van or a car on Business without having it 'signed' is a promotion opportunity missed. But, a complete Vehicle Wrap or painted sign writing is permanent and cannot be removed for leisure or social visiting. Magnetic signs are a fantastic solution. They can be applied and removed an unlimited number of times without deterioration. We can produce Magnetic signs in virtually any size and any quantity from just one upwards. And, of course, the application for magnetic signs is not just limited to vehicles. They can be applied to any flat steel sheet - fridges, machinery and building cladding. What will you stick yours on? Magnetic vehicle signs are a cost effective way to temporarily brand a vehicle. They are ideal where signs need to be added and removed on numerous occasions. They can be applied to any steel surface and perfect for Taxi cabs, vans, lorries, filing cabinets and steel shelving. This means that any vehicle can be transformed in seconds from a moving advertisement to a private sign-free transport and back again - day in, day out. The most efficient way to put over a message and hold the viewers attention is an effective eye-catching graphic design making Magnetic Vehicle Signs the most effective use of images and text.